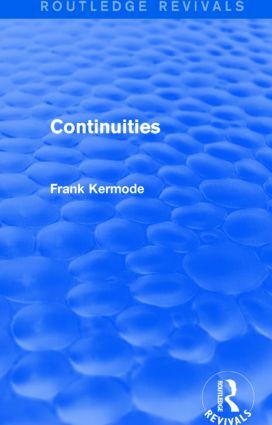 Continuities, first published in 1968, is a collection of reviews by Frank Kermode that appeared from 1962 to 1967. Kermode discusses a variety of novelists, poets, and critics, including T. S. Eliot, Northrop Frye, Wallace Stevens, Edmund Wilson, and Wallace Stevens. History and politics are two important aspects that are discussed in regards to these writers. This book is ideal for students of English literature.